Cheap full-service flights from Malaysia to several Vietnamese cities from only $96! Discover Vietnam! 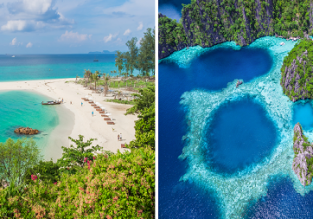 Ho Chi Minh, Hanoi, Hue, Da Nang and Nha Trang in one trip from London for £366! We’ve put together a Vietnam 5 in 1 trip for you! With 4* China Southern Airlines, Jetstar and Vietjet flights you can explore the buzzing streets of Ho Chi Minh Hanoi, the exotic coastal cities of Nha Trang and Da Nang and the former Imperial Capital of Hue in one trip from London, UK from £366! Beach holiday in Vietnam! 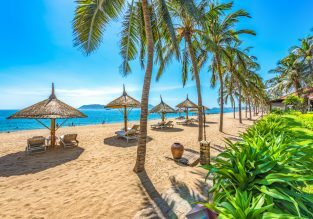 11- night hotel stay in Nha Trang + flights from London for £299! 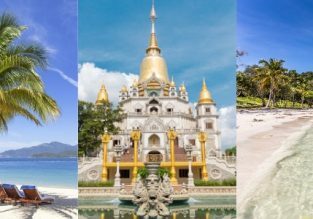 Vietnam Airlines: Ho Chi Minh and Da Nang or Nha Trang in one trip from Kuala Lumpur from only $131! WOW! Cheap flights from Italy to Southeast Asia from only €296! 4* China Southern Airlines are offering cheap flights from Rome, Italy to Philippines, Thailand, Vietnam, Cambodia or Singapore from only €296 return! Cheap flights from Paris to Southeast Asia and Australia from only €372! 4* China Southern Airlines are offering cheap flights from Paris, France to Philippines, Indonesia, Singapore, Malaysia Thailand, Vietnam, Cambodia or Australia from only €372 return! Discover Vietnam! 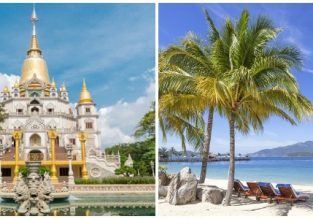 Phu Quoc Island, Ho Chi Minh and Nha Trang in one trip from London for only £363 with checked bag included! Peak season trip to Vietnam! Visit Ho Chi Minh, Nha Trang, Da Nang, Hue and Hanoi from Riga for €442! We’ve put together a Vietnam 5 in 1 trip for you! 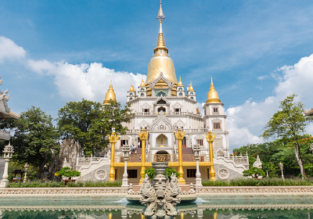 With 4* Turkish Airlines and Vietjet flights you can explore the buzzing streets of Ho Chi Minh Hanoi, the exotic coastal cities of Nha Trang and Da Nang and the former Imperial Capital of Hue in one trip from Riga, Latvia from only €442! Vietnam trip from Amsterdam! Visit exotic Phu Quoc, Ho Chi Minh and Nha Trang for only €396! Cheap flights from Amsterdam to Indonesia, Philippines, Vietnam, Cambodia, Thailand or Myanmar from just €327!